You'll be dead on with our Dead Stroke Skull Shaper. 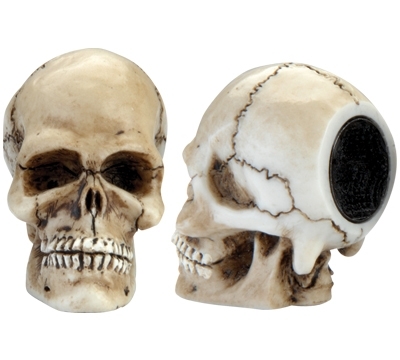 This unique hard resin and hand painted skull measures 1 5/8" H x 1 5/8" D x 1 1/8" W. The metal shaper insert is permanently sharpened for a lifetime of reliable performance. Nickel radius. Also can be used as the most unique pocket marker you'll find. Ideal for yourself or a gift for the whole team.